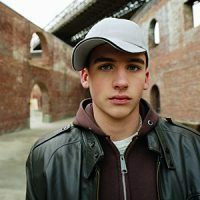 I think it’s important for parents of acting-out and out-of-control teens to ask themselves this question: if your teenager is abusing you verbally, calling you disgusting names, and punching holes in the walls, what kind of husband or father do you think he’s going to make? Unless something dramatic happens, people stay on the course of the lives they set in motion in childhood and adolescence. And if the course of your child’s life is petty criminal behavior (starting with stealing from you), using drugs and alcohol, and intimidating everybody at home, know that this is not going to change on its own. Make no mistake, this is not a phase. Rather, it’s a sign that your child is developing unhealthy behaviors that may stay with him his entire life. Related content: Is It an Adolescent Phase—or Out-of-Control Behavior? I did service work at a prison and I would talk to the guys there each week. Do you know what they were doing as teenagers? They were stealing from their parents, staying out all night, getting high, and drinking. If anybody gave them a hard time at home, they acted out. They intimidated everybody in their family and at school so that everybody would leave them alone. On visiting day in prison, you can see all the parents going in to visit their kids. But now their kids are in their twenties and thirties. That is the harsh reality of ignoring or not dealing with a child’s out-of-control behavior. So as a parent, I think you always have to ask yourself, “Where is this behavior headed? Where does this go?” Understand that people don’t change if something is working for them and they’re getting away with it—especially adolescents. I tell parents who blame themselves to cut it out. Remember, it’s not whose fault it is—it’s who’s willing to take responsibility. So if you’re looking for answers in Empowering Parents articles and otherwise trying to improve your parenting skills, then you’re taking responsibility. Maybe you messed up in the past, but let’s start here, today, with what you are willing to do for your child now. The next step is to try to get your child in a position where he becomes willing to take responsibility for his behavior. And then leave the room. Give your child a verbal reprimand right there on the spot, and then leave. I call this a “pull-up” because you’re actually just giving your child a boost. It’s like taking them by the hand and helping them get on their feet. You may need to do ten pull-ups a night, but that’s okay. Do it without any hard feelings. Don’t hold a grudge or cut him off when he’s talking. And don’t say “I told you so—I warned you about this.” No one likes to hear that, not adults and not kids. It’s annoying. Remember that blaming, speeches, and criticism all cut off communication. If you can have a relationship with your adolescent where you’re still communicating 60 or 70 percent of the time, you’re doing pretty well. If you get angry when your child stomps off to his room or doesn’t want to spend time with you, you’re personalizing his behavior. That gives him power over you. I understand that this is easy for parents to do, especially if your teen used to enjoy spending time with you and was fairly compliant when he or she was younger. But if you take your child’s behavior as a personal attack upon you or your values, you’re overreacting. Your child is in adolescence. It’s his problem and it’s not an attack on you. Instead, it’s just where he is in his developmental cycle. Your teen is not striking out at you personally. Believe me, teenagers will strike out at anybody who’s there, whether it’s you or a sibling. My point is that there is so much going on in your adolescent’s head that you shouldn’t take it personally. He so self-involved at this stage in his life that he doesn’t see things clearly. Adolescence distorts perception. So, if your teenage daughter comes home late, don’t take it personally. If she told you she wasn’t going to do something and then she did it, don’t take it personally. It’s not, “You let me down.” It’s, “You broke the rules and here are the consequences.” Just reinforce what the rules are and let your child know she’ll be held accountable. The only time I think you should respond very strongly is when a child is being verbally or physically abusive. If your teenager calls you or others foul names or destroys property, you have to respond. So if you believe it’s not right for a 16-year-old to drink beer, then that’s what you believe. And you need to run your home accordingly. If you believe that lying and stealing are wrong, then make that a rule in your house and hold your children accountable for that behavior if they break the rules. It’s imperative to be a good role model and abide by the rules that you set. Otherwise, you risk having them be broken over and over again by your children. Believe me, I understand that it’s easy to overreact to normal teenage behavior. They can be really annoying, and they are often unaware of or just don’t care about other people’s feelings. But I think some objectivity on the part of parents is vital. For example, if your child makes a mistake, like coming in past curfew, you don’t want to overreact to it. Don’t forget, the idea is not to punish—it’s to teach, through responsibility, accountability, and giving appropriate consequences. When a teen fails a test, the question should be, “So what are you going to do differently so you don’t fail the next test?” You may hold your child accountable, there may be a consequence, but you should always try to have a conversation that solves problems, not a conversation that lays blame. Blame is useless. Then help your child look at the range of options. He could say, “No thanks.” Or better yet, “I have to call my mother, she’s a pain in the neck, but I have to check in.” I actually used to tell kids to say this. It’s a great way for teens to follow the rules without looking weak or childish. When they say, “My mom is a pain,” all the other kids nod and shake their heads, because their parents are pains in the neck, too. Sometimes kids just don’t know what to say in a sticky situation. Part of solving that problem with them is coming up with some good responses and even role playing a little until it feels comfortable coming out of your child’s mouth. If your child is being physically abusive, destroying property, stealing, or using drugs, you have to hold him accountable, even if it means involving the police. The bottom line is that if your child is breaking the law or stealing from you, you need to get more help. I know parents who say, “I can’t do that to my son,” and I respect that—it’s a very difficult thing to do. But in my opinion, you’re doing your child a favor by telling him that what he’s doing is unacceptable. He is not responding to parental authority or to the school’s authority, so you have to go to a higher level. Your child has to learn how to respond to authority if he’s going to go anywhere in life. You may worry about your teen getting a record, but I think you should worry more about him not changing his behavior. I think that all children, but especially adolescents, have to be held accountable for their behavior. Ideally, we teach them how to behave. We model it ourselves and then we hold them accountable through giving consequences and helping them learn problem-solving skills. And know this: kids who are getting high, stealing, shoplifting, and acting out are making very bad choices that may affect them for the rest of their lives. If your child is making these bad choices, it needs to change. And accountability creates change. It doesn’t guarantee a complete inner change right away, but it sure forces behavioral change. And here’s the truth: nobody ever changed who wasn’t held accountable.